On the morning of April 10, 180 Polish-American high school students sat stone-faced and speechless in the expansive upper gallery of Chicagoâ€™s Polish Museum of America. The students had been scheduled to take a tour of the museum when the news arrived: Polish President Lech Kaczynski, his wife, and nearly a hundred other members of Polandâ€™s government had been killed in a plane crash. Malgorzata Kot, head librarian at the Polish Museum, was unsure of how to approach the impromptu task of consoling a roomful of shell-shocked teenagers. Then instinct kicked in. The students, brought up in Chicagoâ€™s Catholic schools and churches, knew what they needed to do next. This story is part of a unique collaboration of nine Chicago area ethnic news media exploring the relationships between immigrants and their children. The stories were released in early June 2010 by Extra (Hispanic), the Polish Daily News, 4NewsMedia (Polish), Pinoy Newsmagazine (Philippine), Al Moustaqbal â€“ Future newspaper (Arab), India Tribune, Korea Daily News, Fra Noi (Italian), Draugas â€“ The Lituanian World-wide Daily, and Reklama (Russian). Click here to access the other stories: Health made harder: How Latino families translate the system, Dual citizenship gives new meaning to Italian Americans, For Korean-Americans, culture, too, is lost in translation, Learning to be a woman in the Arab-American community, Youth engagement in the Lithuanian American community, Filipinos turn to nursing homes for elder care, Reclaiming roots: Young Russian Americans find â€“ and preserve â€“ their identity, and Pursuing creativity, sustaining Indian culture. 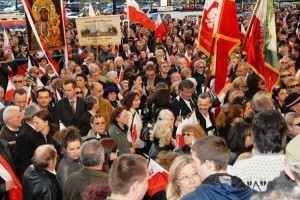 More than two thousand people took part in the funeral march, which passed through the streets of Chicago's Polish community. the worldâ€™s largest community of Poles outside of Poland. Young and old members of the Polish community publicly mourned the officials and dignitaries who died in the crash, but itâ€™s unclear whether the younger generation of American-born Poles truly relate to the disaster the way their immigrant parents and grandparents do. With the June 20 special elections rapidly approaching in Poland, the ties that bind are about to be tested. How strongly will second generation Poles in Chicago stay connected with their parentsâ€™ homeland? Can an American-born Pole really stay in touch with his or her roots? In the days following the tragedy, Kot saw many of her younger Facebook friends change their profile pictures to patriotic images, such as the Polish flag in the shape of Poland, or the iconic Polish eagle wearing a black ribbon in memory of the officials who died in the crash. Polish-American high school girls, she noticed, began wearing red, white and black barrettes in their hair. 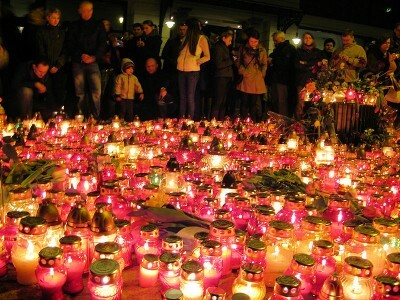 Many young Polish-American Chicagoans changed their Facebook profile pictures to images such as this one to express their mourning after the plane crash. Olivia was born in Chicago to immigrant parents from southern Poland. Like some 17,000 other Polish children in the Chicago area, she goes to Polish school on Saturdays to learn the history and language of her ancestors. She often speaks Polish with her two best friends, visits her cousins in Gniewczyna, Poland, every other summer and sits down with her parents and nine-year-old sister Gabi for a traditional Wigilia dinner every Christmas Eve. Even so, the fifth-grader said, fully relating to her teacher that day was impossible. Oliviaâ€™s parents arrived in the United States 16 years ago, and make a conscious effort to pay tribute to their and their daughtersâ€™ heritage. Oliviaâ€™s mother works as a secretary in her Polish school and makes an effort to shop at Polish-owned grocery stores. Still, Oliviaâ€™s parents understand that she considers America home because she was born here. In fact, she said, today it is easier than ever for young people to display their loyalty to Poland because of social media sites like Facebook, which allow them to instantly project their thoughts and feelings to an entire network of friends. But Facebook doesnâ€™t make it any easier for young Poles to appreciate how this tragedy will fit into to the fabric of Polandâ€™s history. Polish Museum of America director Jan Lorys, 61, has lived in the U.S. since he was three, and likened the April 10 disaster to the 1963 Kennedy assassination. Others have compared its enormity to that of the Katyn massacre of 1940, the very event President Kaczynski and the other Polish dignitaries were on their way to commemorate when the crash occurred. Lorys explained how many in Chicagoâ€™s Polish community faulted Russia for not immediately publicizing the information from the flightâ€™s black box. 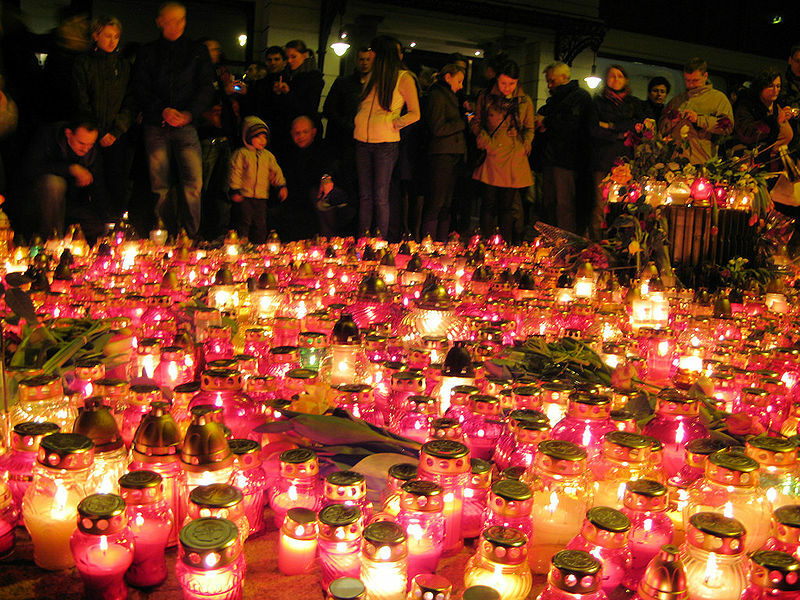 Recordings from the black box have yet to be made public, but Polish authorities will release them soon. â€œNobody really wanted to believe that the plane had some kind of accident,â€ said Adam Lizakowski, 53, a renowned Polish poet who immigrated to the U.S. in 1981 and now lives in Chicago. Press releases suggest the crash was due to pilot error. Mariusz Gbiorczyk, vice consul of the Polish consulate in Chicago, doesn’t believe in the conspiracy theories surrounding the accident, but admits that the history behind the crash site makes the tragedy all the more curious. “It is a farce of history that this crash happened in the same place where seventy years ago the massacre of Polish officers took place,” he said. 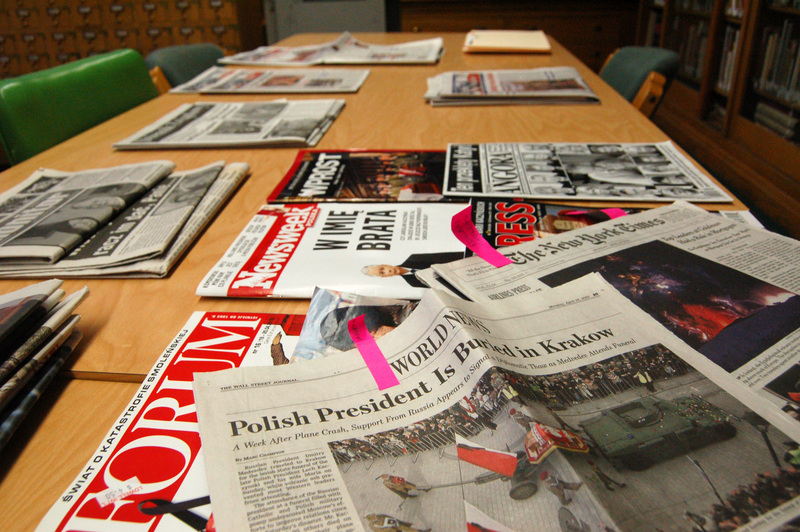 In the days following the disaster, Gbiorczyk, 33, kept the consulate open past normal hours; mourners who came by filled two books with written condolences and lit candles late at night. Chicagoâ€™s numerous Polish television stations responded with similar solemnity, cutting comedies and soap operas from their programming in favor of more serious patriotic fare, such as documentaries on the Katyn massacre. Similarly, disc jockeys on Polish radio stations played Chopin and classical music, avoiding genres not appropriate to national mourning â€“ â€œlike disco or whatever,â€ Lizakowski said. Olivia may not feel the same patriotic fervor toward Poland as her forefathers, but that doesnâ€™t mean she canâ€™t appreciate the significance of the plane crash in her own way. While standing outside an overcrowded Sunday mass in northwest suburban Niles, watching as the names of the plane crash victims were taped onto a monument, Olivia came to an important understanding.